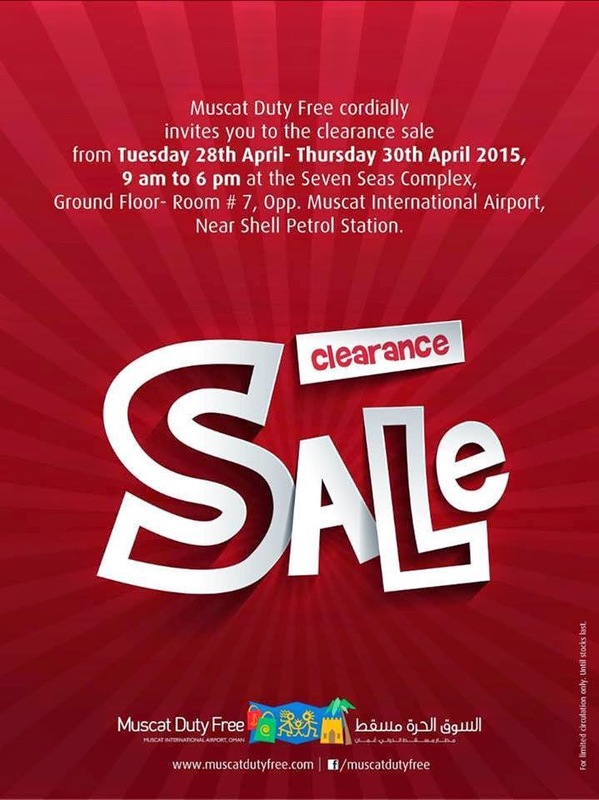 Coming up in a few days the Muscat Duty Free guys and girls are having a liquidation clearance sale. Rather annoyingly its during working hours, so it's a WAG's mission I guess. Between this Tuesday 28th and Thursday 20th April between 9am and 6pm at the Seven Seas Complex (ground floor - room 7) which is opposite the airport near the Shell station. The area around that building is fairly terrible for parking, so I imagine it'd be a bit of a mad crush, or maybe it wont. I assume that they'll be flogging old stock to make room for new stock.... so I'm thinking watches, jewellery, that sort of thing. Parking would've been easy to find... until this post! Now everyone in Oman (who isn't under a rock) is going to be there! Thank you!